I've talked about must have cute accessories and then must have stylin' shoes. But what about everything else? What about the clothes? The clothes your kids wear at the portrait session can really impact the end product...your photographs. Besides the location, the clothes you select can determine the mood or style of the photographs. 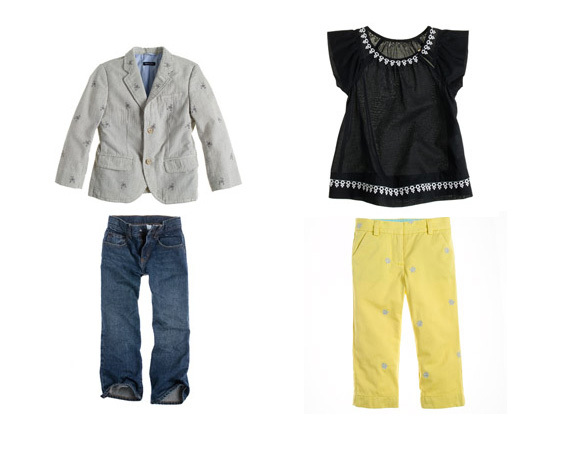 Here are some ideas from my favorite places for kids clothing. Mini Boden - This is a great place for kids clothes. I had trouble deciding on what outfits to show. I had about 4 other ones that I was also in love with. 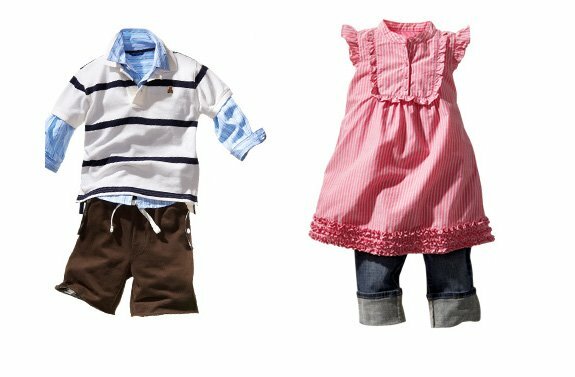 These two outfits would be great for an older toddler or young child (4-9). They are fun & bright. Child-like, yet grown-up looking at the same time. 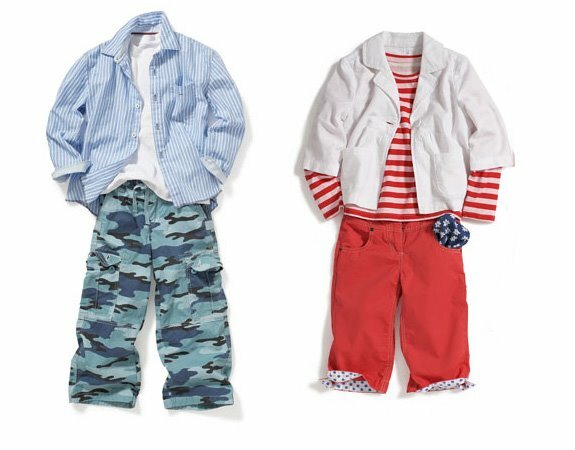 Crew Cuts - This is J Crew's kids clothing line. They are refined, yet trendy. Definitely more towards the preppy style, just like their adult clothing. These would look great in more urban setting, like the photos I've taken in downtown Doylestown. Gap - They are a classic. This is personally one of my favorite places to shop for Grace. I always walk in there and just everything what I see. I want to buy it all! Their baby lines are just as cute. So really, you can find great outfits for all ages (newborn and up) there. Gymboree - Great toddler looks. This is a great one stop shopping, meaning they will have head-to-toe outfits (including shoes and other accessories). Just remember for photographs, you don't need to have every coordinating piece. Sometimes less is more. I was thinking of doing these to highlight "what to wear" for the different seasons or for families. Let me know what you think! those are fabulous ideas!! your clients are lucky to have your advice! ooh, LOVE mini boden! The quality of their stuff can't be beat!